It's Here! This is your chance to pre-register for all of next year's events and guarantee your Keyholder status for 2019!! And you're getting them at a discount! Because this will help us predict expenses, you're getting $10 off the regular donation/registration fee ($150 for six events) and international members are saving $10 off their international shipping fees (normally $5 per event - $30 total). 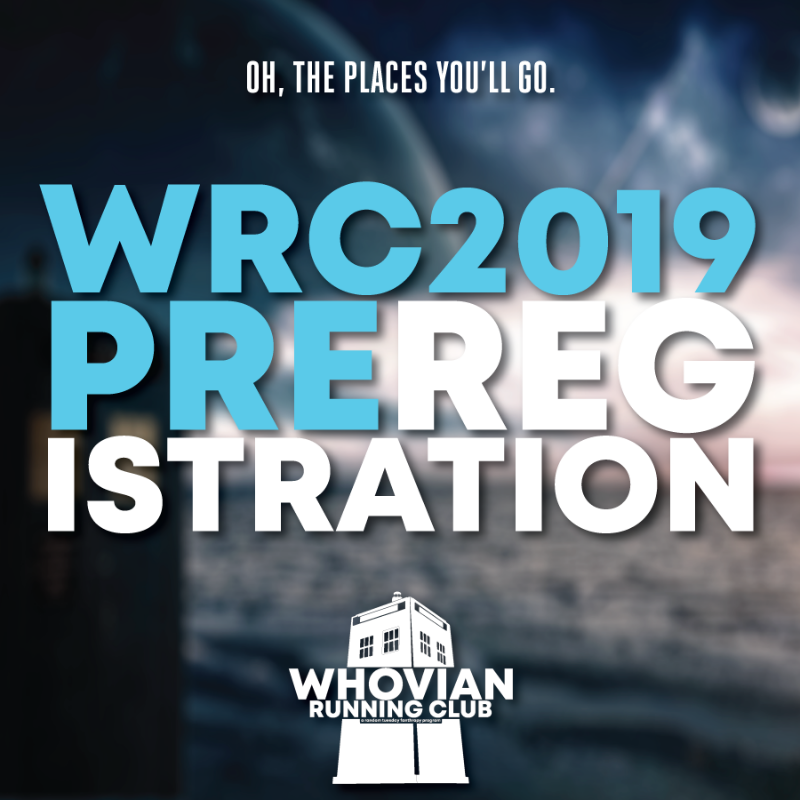 Your pre-registration includes all five "regular-season" WRC events, the always HUGE Challenge Medal, your Keyholder pin, and custom digital bibs for each event. AND we've added two OPTIONAL items for you! 1. We're going to do a special event next winter...a Holiday Special Medal! It will celebrate the Whovian Yuletide tradition and be themed after one of the various DW Christmas/Holiday Specials. You won't know what it is until we announce it next fall, but if you know you're going to get it anyway, you can register for it now and that way you don't have to worry about missing out on it! The Holiday Special medal is not required for Keyholder status. 2. Donate to the 2019 Rory's Fund! Many members have asked for the ability to make an end-of-year donation to benefit Rory's Fund in 2019. All of these donations will be evenly distributed across all five "regular-season" events to sponsor those who apply for sponsorship. Pre-register today and become a 2019 Keyholder!